Welcome to our website, a service provided by Jobs For Linemen and its parent group Utility Designs (collectively , Jobs For Linemen). Please read this Visitor Agreement before you use this website. By using this website, you agree to abide by the terms of this agreement. If you don’t agree to these terms, then please donÌt use this website. We may change the terms of this agreement from time to time and by continuing to use the website after we post any changes, you accept and agree to this agreement, as modified. applies to the entire website owned and operated by Jobs For Linemen although not all sites have all of the features discussed in the Visitor Agreement. 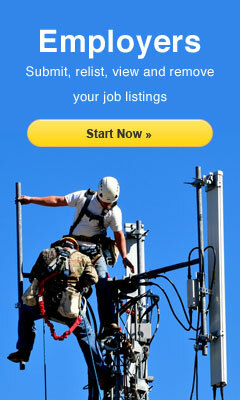 You may order certain Jobs For Linemen or Utility Designs products and services through this website. All orders you make through this website are subject to the availability, terms, and other conditions that apply to the particular products and services at the time you place your order. All products and services, their contents, availability, and pricing are subject to change at any time with or without notice. Submissions and Postings Disclosure: You are solely responsible for any information that you submit or post on this website. By using this website you agree not to submit, post or transmit any defamatory, abusive, obscene, threatening or illegal material, or any other material that infringes on the ability of others to enjoy this website or that infringes on the rights of others. We retain the right to deny access to anyone who we believe has violated these terms or any other term of this agreement. We reserve the right (but assume no obligation): to delete, move, or edit any submissions or postings that come to our attention that we consider unacceptable or inappropriate, whether for legal or other reasons. We will comply with all requirements of the law regarding disclosure of any submissions or postings on this website to others, including law enforcement agencies. We will also comply with any other requirements of the law regarding disclosure of other aspects of your use of this website. All material you submit or post on this website becomes the property of Jobs For Linemen and may be used, reproduced, modified, and distributed as we deem necessary in our reasonable discretion. Jobs For Linemen reserves the right at any time to terminate your use of this website if you fail to comply in full with any term of this agreement, or any other terms, agreements, or policies that apply to this website and the use of it. You agree to indemnify, defend, and hold harmless Jobs For Linemen (including all of its officers, directors, employees, agents, licensors, suppliers and any third-party information providers) against all claims, losses, expenses, damages and costs (including reasonable attorney fees) resulting from any breach of this agreement or unauthorized use of this website. Your indemnification obligation shall survive the termination of this agreement. At our expense and election, we reserve the right to assume the exclusive defense and control of any matter subject to indemnification by you and you agree to cooperate with Jobs For Linemen in connection with our defense. YOU AGREE THAT YOUR USE OF THIS WEBSITE IS AT YOUR SOLE RISK. BECAUSE OF THE NUMBER OF POSSIBLE SOURCES OF INFORMATION AVAILABLE THROUGH THE WEBSITE, AND THE INHERENT HAZARDS AND UNCERTAINTIES OF ELECTRONIC DISTRIBUTION, THERE MAY BE DELAYS, OMISSIONS, INACCURACIES, OR OTHER PROBLEMS WITH SUCH INFORMATION. IF YOU RELY ON THIS WEBSITE OR ANY MATERIAL AVAILABLE THROUGH THIS WEBSITE, YOU DO SO AT YOUR OWN RISK. YOU UNDERSTAND THAT YOU ARE SOLELY RESPONSIBLE FOR ANY DAMAGE TO YOUR COMPUTER SYSTEM OR LOSS OF DATA THAT RESULTS FROM ANY MATERIAL AND/OR DATA DOWNLOADED FROM OR OTHERWISE PROVIDED THROUGH THIS WEBSITE. THIS WEBSITE IS PROVIDED TO YOU “AS IS,” “WITH ALL FAULTS,” AND “AS AVAILABLE.” Jobs For Linemen AND ITS AGENTS AND LICENSORS CANNOT AND DO NOT WARRANT THE ACCURACY, COMPLETENESS, USEFULNESS, TIMELINESS, NONINFRINGEMENT, MERCHANTABILITY OR FITNESS FOR A PARTICULAR PURPOSE OF THE INFORMATION AVAILABLE THROUGH THE WEBSITE NOR DO THEY GUARANTEE THAT THE WEBSITE WILL BE ERROR-FREE, OR CONTINUOUSLY AVAILABLE, OR THAT THE WEBSITE WILL BE FREE OF VIRUSES OR OTHER HARMFUL COMPONENTS. UNDER NO CIRCUMSTANCES SHALL Jobs For Linemen OR ITS AGENTS OR LICENSORS BE LIABLE TO YOU OR ANYONE ELSE FOR ANY DAMAGES ARISING OUT OF USE OR MISUSE OF THIS WEBSITE, INCLUDING, WITHOUT LIMITATION, LIABILITY FOR CONSEQUENTIAL, SPECIAL, INCIDENTAL, INDIRECT, OR SIMILAR DAMAGES, EVEN IF ADVISED BEFOREHAND OF THE POSSIBILITY OF SUCH DAMAGES. (BECAUSE SOME STATES DO NOT ALLOW THE EXCLUSION OR LIMITATION OF CERTAIN CATEGORIES OF DAMAGES, THE ABOVE LIMITATION MAY NOT APPLY TO YOU. IN SUCH STATES, THE LIABILITYOF Jobs For Linemen AND ITS AGENTS AND LICENSORS IS LIMITED TO THE FULLEST EXTENT PERMITTED BY SUCH STATE LAW.) YOU AGREE THAT THE LIABILITY OF Jobs For Linemen AND ITS AGENTS AND LICENSORS, IF ANY, ARISING OUT OF ANY KIND OF LEGAL CLAIM IN ANY WAY CONNECTED TO THE WEBSITE SHALL NOT EXCEED THE AMOUNT YOU PAID TO Jobs For Linemen FOR THE USE OF THE WEBSITE. To obtain access to certain services on our website, you may be required to register. As part of any such registration process, you will select a user name and a password. You agree that the information you supply during that registration process will be accurate and complete and that you will not register under the name of, nor attempt to enter the service under the name of, another person. Jobs For Linemen reserves the right to reject or terminate any user name that, in its judgment, it deems offensive. You will be responsible for preserving the confidentiality of your password and will notify us of any known or suspected unauthorized use of your account.